Sacvan Bercovitch was born to Yiddish speaking Jewish immigrant parents. His father was the famous painter Alexandre Bercovitch and his sister was Sylvia Bercovitch Ary (BBHS ’40) the noted Montreal artist. As Bercovitch’s parents separated when he was a child, he spent much of his time in various foster homes until he graduated from BBHS in 1950. He studied briefly at the New School for Social Research in New York and Reed College in Oregon, before moving to Israel for four years to live as a dairy farmer on a kibbutz. 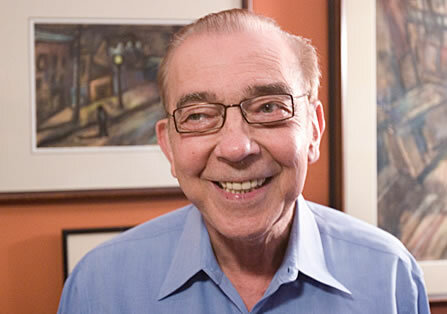 When Bercovitch returned to Montreal, he attended night school at Sir George Williams College, now Concordia University, graduating with a BA in 1961. He obtained his master’s and doctoral degrees from Claremont Graduate School in California. Bercovitch was hired as a junior faculty member at Columbia University where he began his scholarly work on American Puritanism. He subsequently taught at a number of universities including Brandeis, Columbia, Harvard and Princeton. As a distinguished literary scholar Bercovitch traced America’s self-image of “exceptionalism” back to the rhetoric of the colonial Puritans of New England. Bercovitch’s impressive academic career includes a fellowship with the American Academy of Arts and Sciences, General Editor of Cambridge History of American Literature and a number of awards including three Lifetime Achievement Awards and the James Russell Lowell Prize of Modern Languages. Bercovitch, died in 2015 at his home in Brookline, Massachusetts at the age of 81.